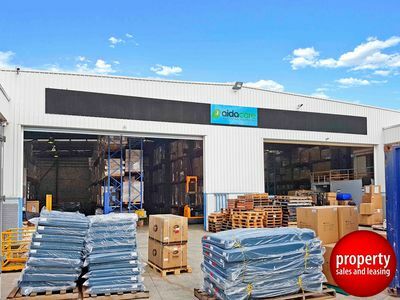 Our company manages a wide range of industrial, commercial and retail properties across the greater Sydney region comprising single tenant and multi tenant assets for clients with simply one property or a portfolio of properties. We invite new clients to contact us to obtain a no obligation property management proposal and highlight that we take responsbility for arranging handover from any previous managing agent to assist in assuring that the process is troublefree for our new clients. Components of our property management service will include the following principal functions. Accounting for and documenting of income and expenses, recovery of outgoings where appropriate, disbursements, banking and the like. Ensuring competitive quoting and optimum cost outcomes with respect to works undertaken or contracts entered into. Provision of monthly and annual financial statements as well as any other reports as required. Holding of bonds and bank guarantees in our trust account, in an interest bearing account, with the rental bond board or in our safe deposit box as appropriate. Monitoring ongoing compliance with lease terms and conditions. Establishment of a critical dates’ calendar. Implementation of rent reviews and other operational aspects of the lease. Preparation and execution of REINSW leases or instructing of solicitors where clients prefer a solicitor drafted lease. Through liaison with both yourself and the lessee undertake periodic inspections of the property to monitor the physical condition of the site, understand repair and maintenance issues that may arise, organise and verify works undertaken and ensure ongoing servicing contracts are implemented. Provision of periodic property inspection reports. Act as a true and effective liaison on your behalf keeping you informed of issues and events as well as ensuring implementation of your instructions. Develop a sound relationship with the lessee to understand or foresee issues that may impact on the property, the lessee’s ability to meet their obligations under the lease or that may lead them to consider relocation. To obtain a property management proposal from our company please contact our Director Tod Anderson on 0412 350 285.